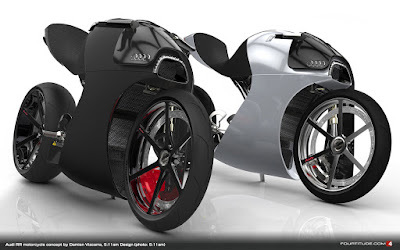 Over the years, motorcycle design has become fairly stagnant; it’s like re-inventing the wheel. 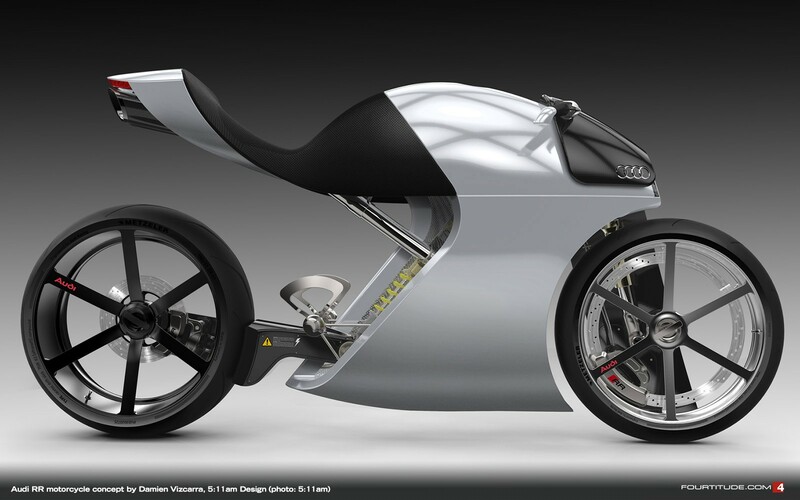 If you’ve ever wondered what an Audi motorcycle might look like, then let Damien Vizcarra of 5:11am Design show you his interpretation. 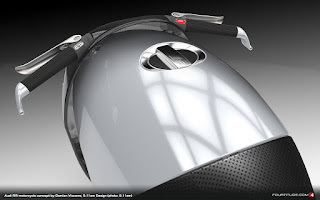 It’s a futuristic concept that draws inspiration from the current trend in conceptual design but it comes with a few unique features that are worth a closer look at. 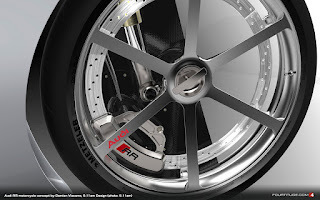 Luckily, there have been a few innovative designs that have been getting more than a few nods of approval: the Audi RR Concept is one of them. As quoted of the Gearheads on Friday, December 18, 2015, a bold aesthetic that combines practicality, functionality and aesthetics poured by Damien in his motorcycle concept. 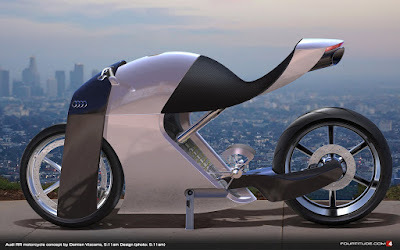 Damien has captured Audi in a two-wheeled form, with ergonomic and integrated controls and features (of course) the customary LED strip headlights that have become Audi’s signature element. 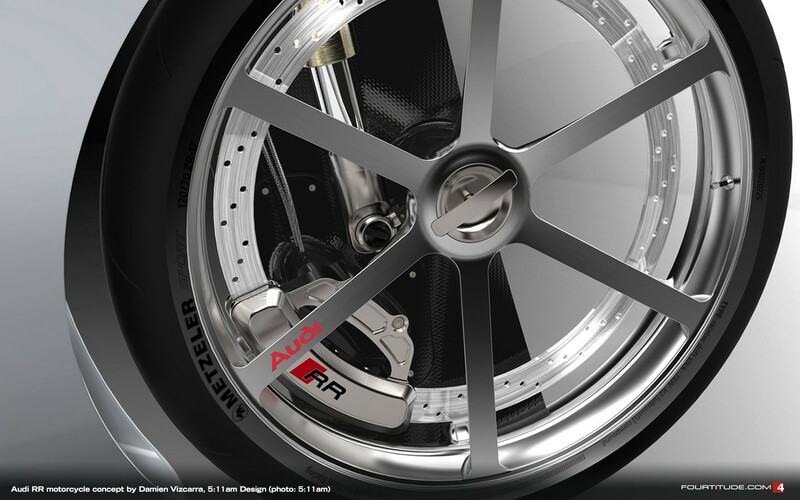 Audi RR Concept Bike used a single swing arm model and without tire cover. 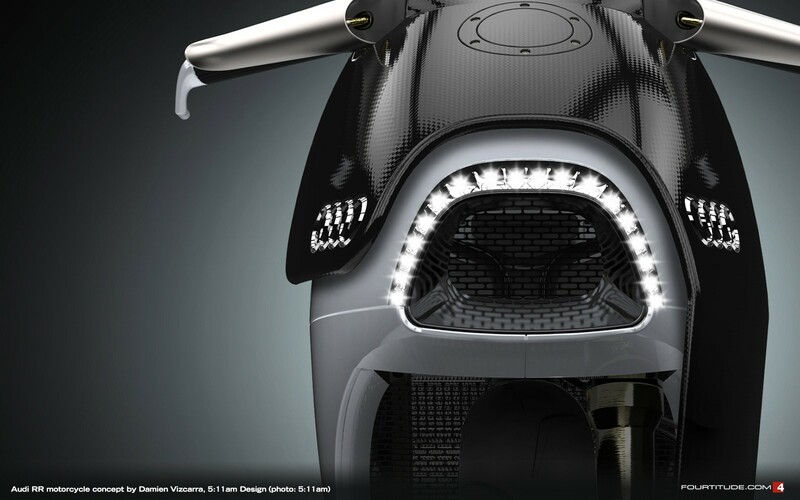 Its engine covered by a fairing which is designed merges with the fuel tank. 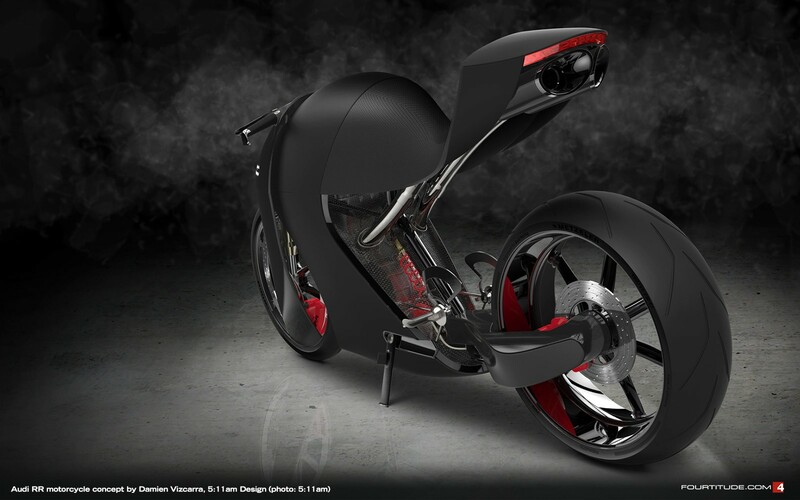 This motorcycle concept will use a hybrid engine that consists of a gasoline engine and electric motors.